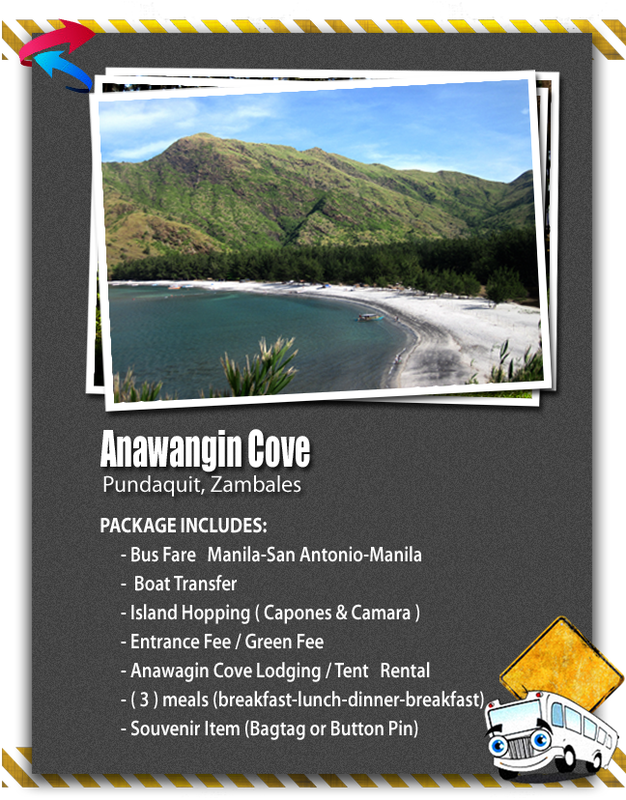 King Yang Tours & Transport Inc.
Anawangin Cove - is a crescent shaped cove with a pristine white sand beach. What makes the place unique is the unusual riddle of tall pine trees flourishing round its vicinity. There are no roads leading to Anawangin. It is only accessible by a 30 minute boat ride from Pundaquit, San Antonio, Zambales or by a six-hour trek through hot, open trails thru the Pundaquit range. The cove's relative isolation has kept it free from development - as of this writing, there are no resorts on this sparkling piece of natural beauty, save for a few huts and deep wells.Just behind the beach is the pine forest and a marsh, where one can find natural springs feeding to the sea. The area is home to a number of bird species.